Before California Girl went on her trip to UK and Europe, she bought several inexpensive bottles of wine for me to review for our Bargain Wine of the Week. The fist of these wines is the 2014 H3 Merlot from Columbia Crest Winery in Washington State. The wine was purchased from Target, at a sale price of $9.34. It is listed on the winery’s website at $15. The first nose was heavy and full of fruit, but when I swirled the wine, the aromas became more varied with green pepper and leather added to the blackberry notes. The color was an intense inky purple. Taking a sip I was struck with the structure, unusual in wines at this price point. There was a mix of pepper, copper, bold tannins, but very little fruit. The finish was at best medium in length. 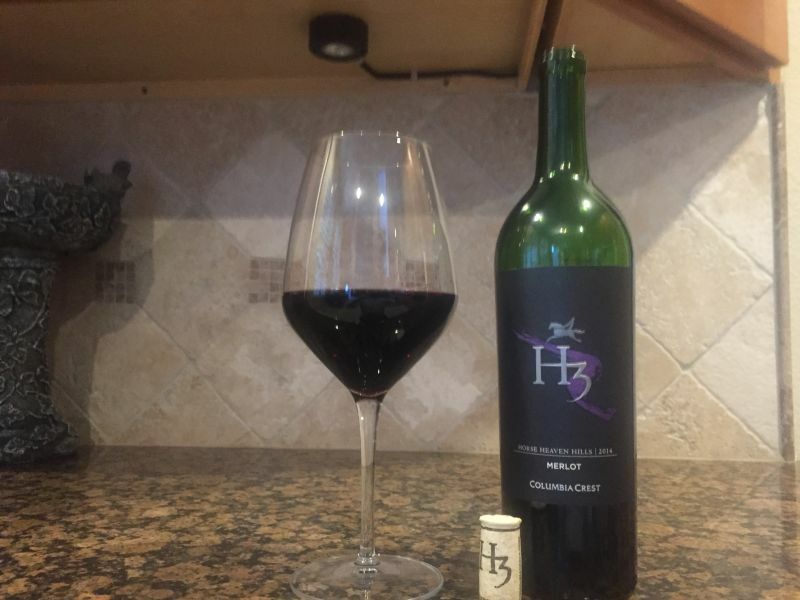 The description may make it sound unappealing, but despite the lack of the “rich cherry notes” in the tasting notes for H3 Merlot, I found the complexity of the wine made it an enjoyable drink. Tasting it again the following night, there was a slight hint of fruit. 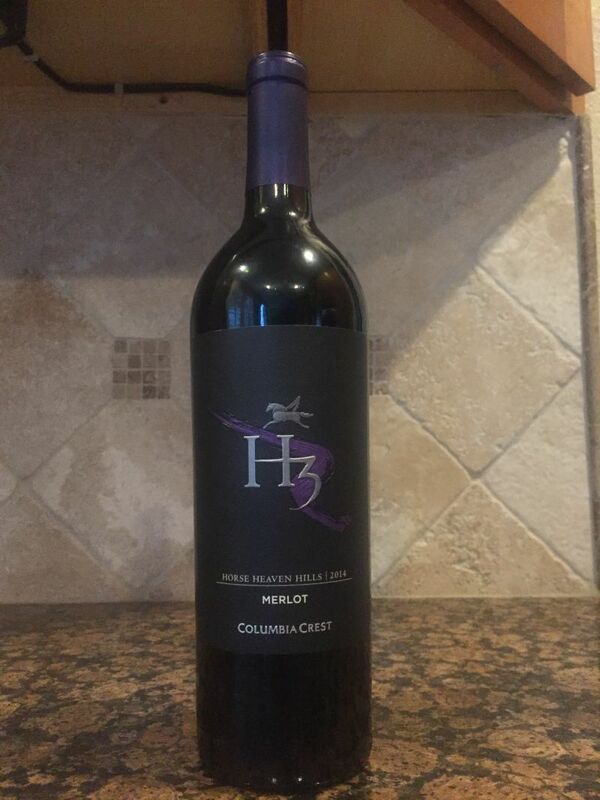 The H3 name is a reference to Horse Heaven Hills AVA, in which Columbia Crest Winery is based. The label does not indicate that H3 Merlot is made from grapes grown in the AVA, or even grown in Washington State. Lori, it’s always worth finding these little gems! Thanks for reading.